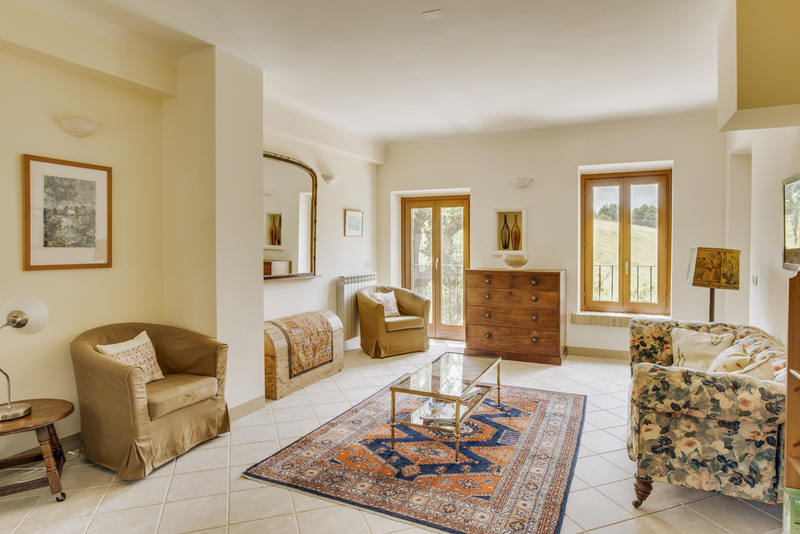 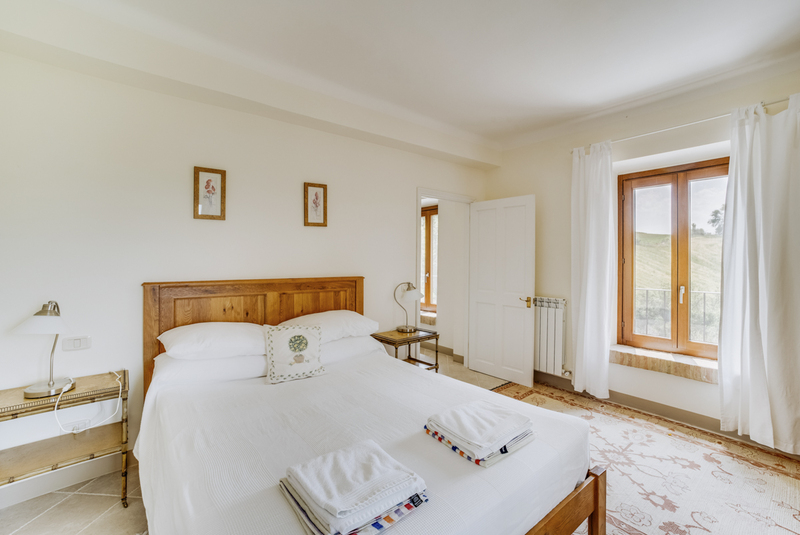 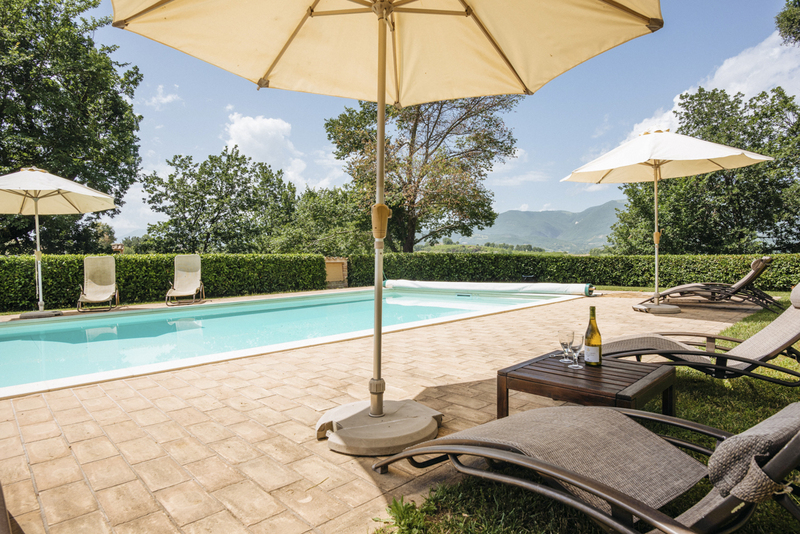 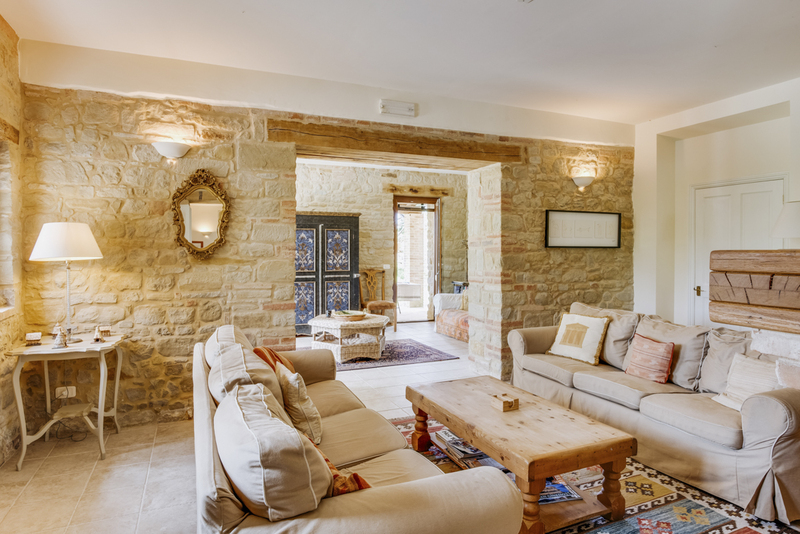 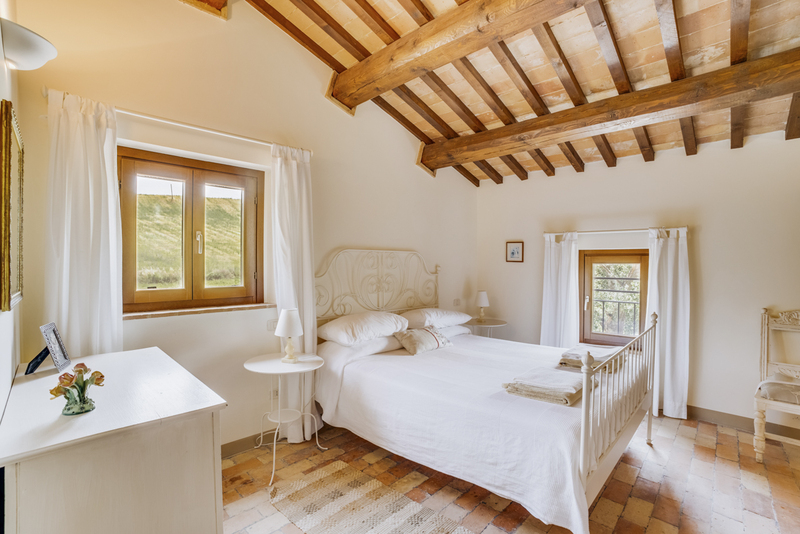 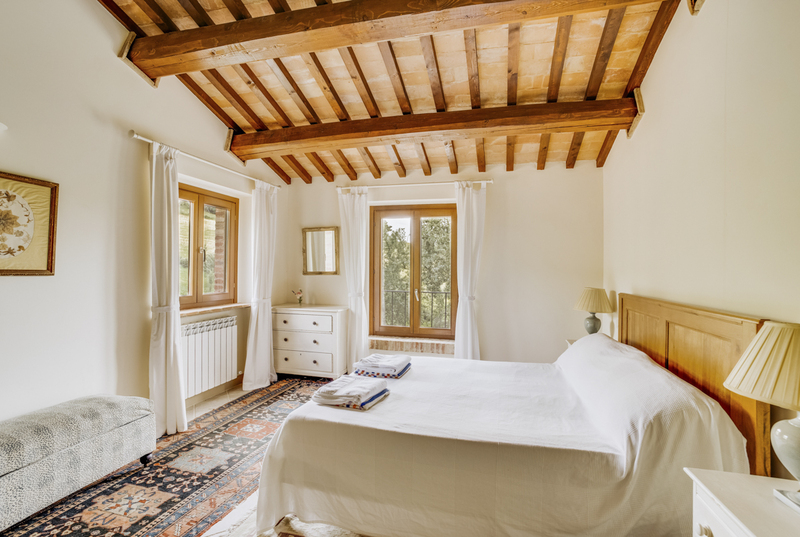 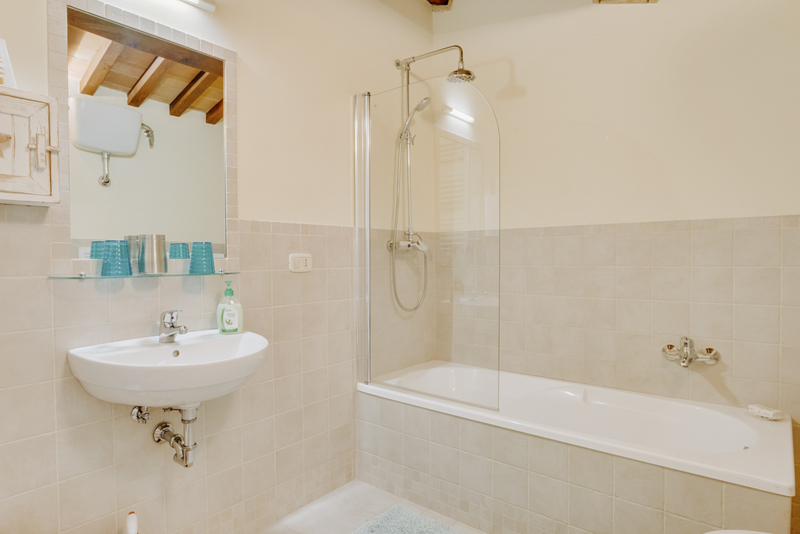 This glorious country house in the depths of the Italian countryside, set against a breath-taking backdrop of the magnificent Sibillini Mountains, offers a magnificent holiday-home full of comfort, beauty and invigorating views. 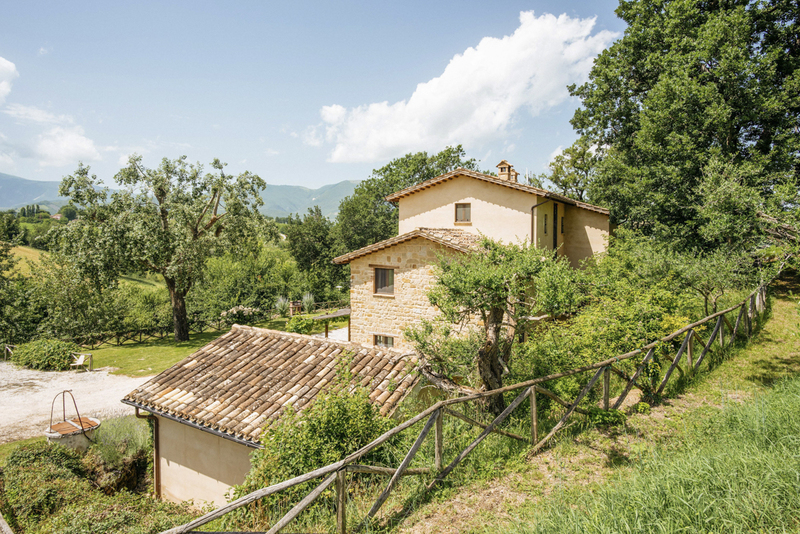 A winding country lane delivers you to the front door of this charming home, weaving its way through the foothills of the Apennine mountain range in a whirl of old oak forests and deep green fields. 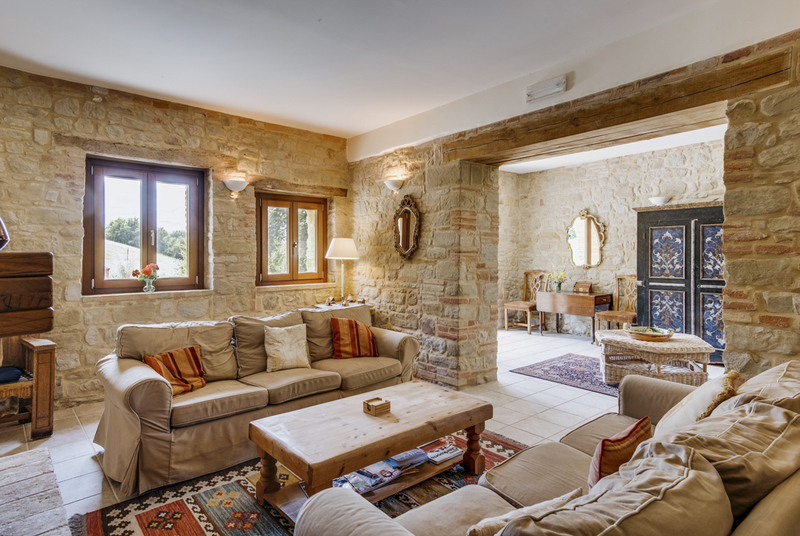 The living areas are delightfully spacious and airy, with classic open doorways and large wooden-framed windows. 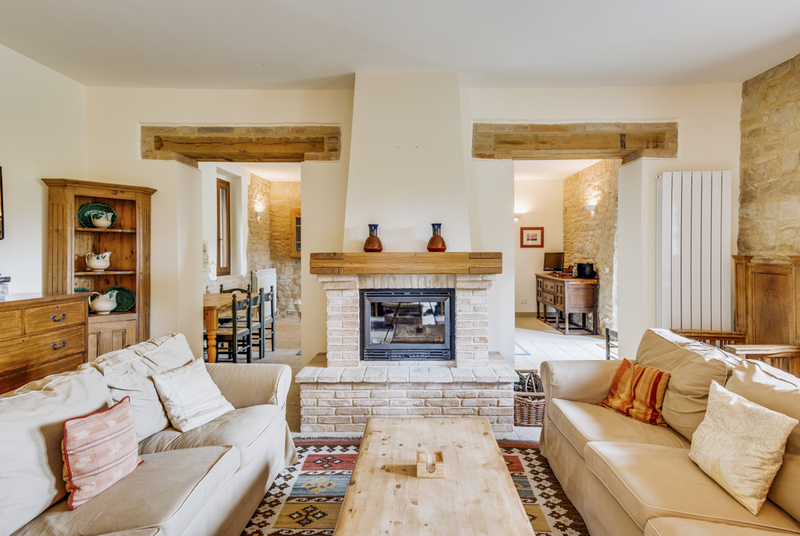 There is a casual seating area with two comfortable sofas around a large fireplace, perfect for gathering the group on the cooler winter evenings. 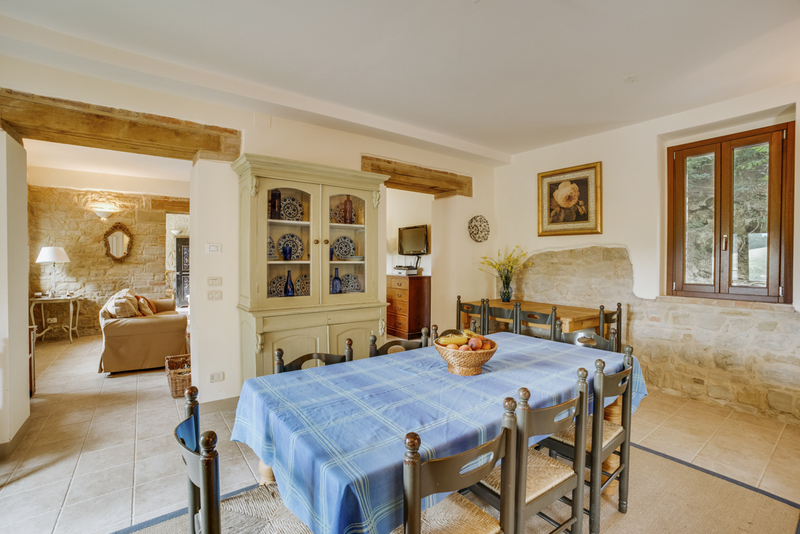 A long dining table seating up to 14 sits alongside the kitchen, with room for everyone to feast together. 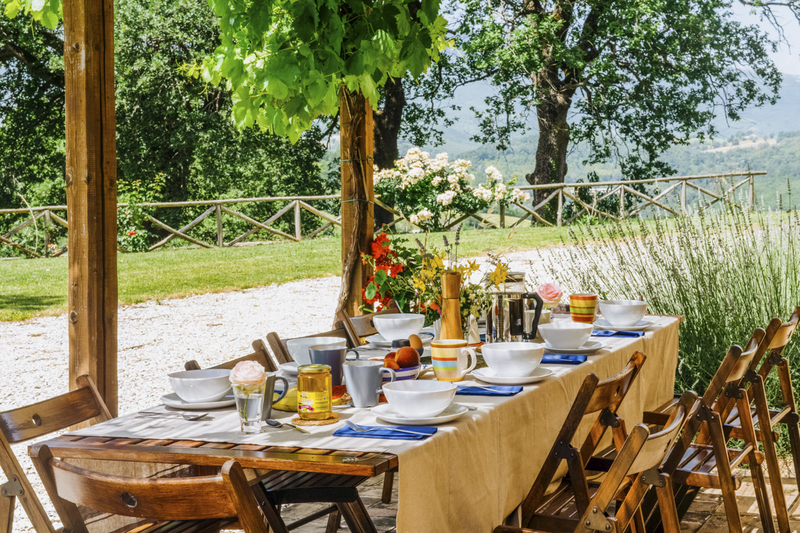 A second dining table can be found on the veranda, where you can enjoy a refreshing alfresco meal in the clean, crisp country air. 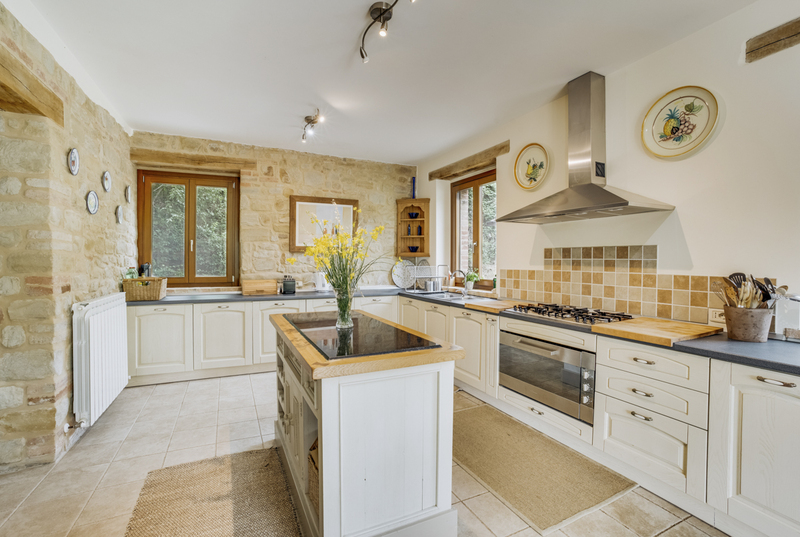 The kitchen is all any budding chef could dream of, with a fantastic set of equipment and even a large central island creating plenty of space for all to cook up a storm! 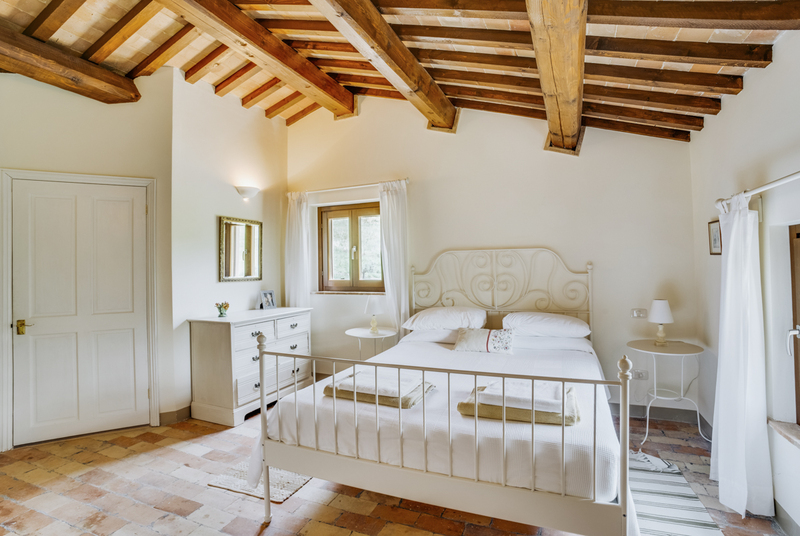 Upstairs, the six fabulous bedrooms all possess their own delicate charm. 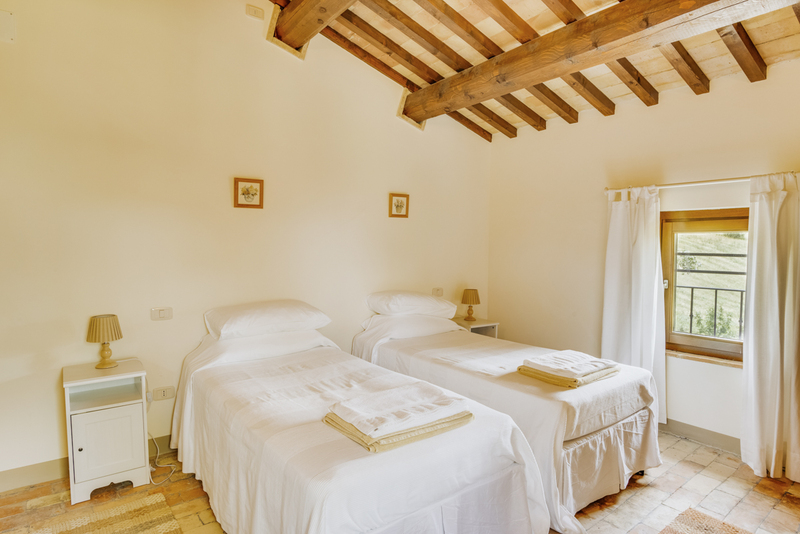 There are three double rooms and three twin rooms. 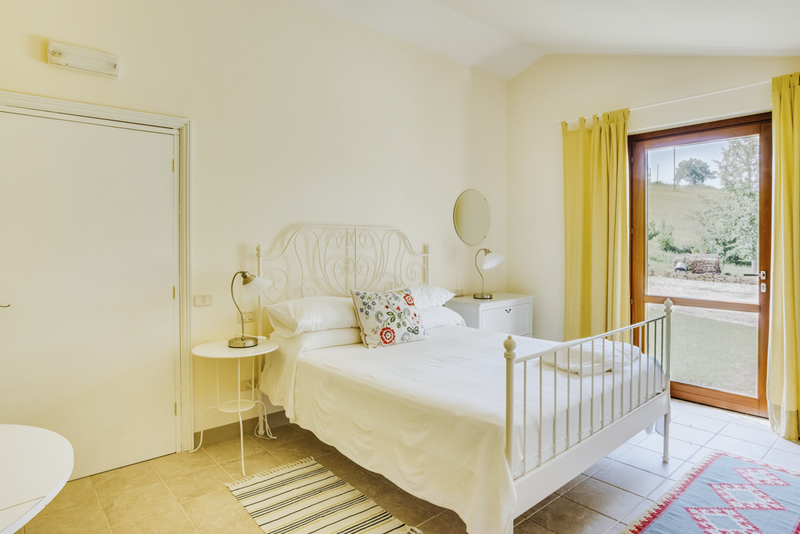 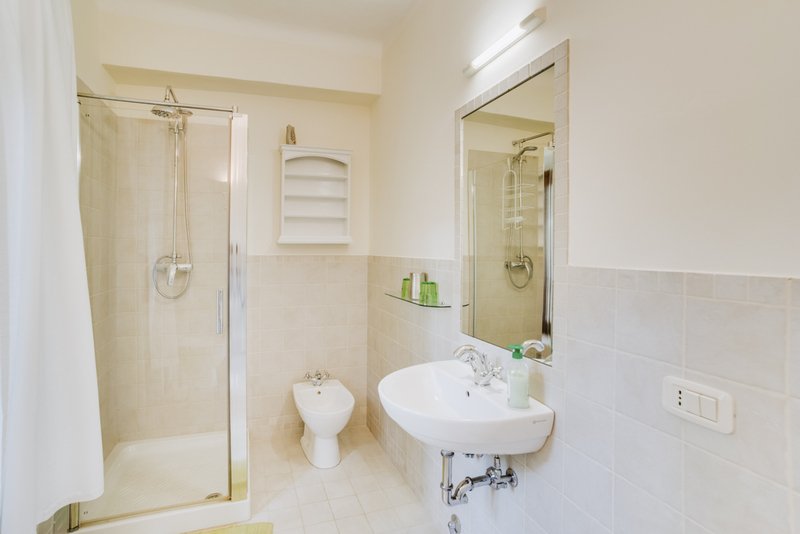 On the first floor all four bedrooms enjoy ensuite facilities, while on the second floor there is one bathroom shared between the two bedrooms, as well as a children’s den area – ideal for families! 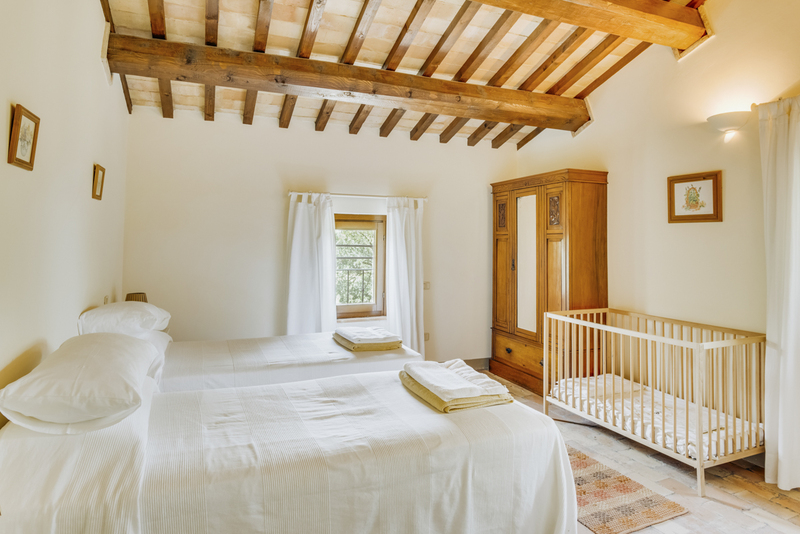 There is also a cot available for those traveling with very young children. 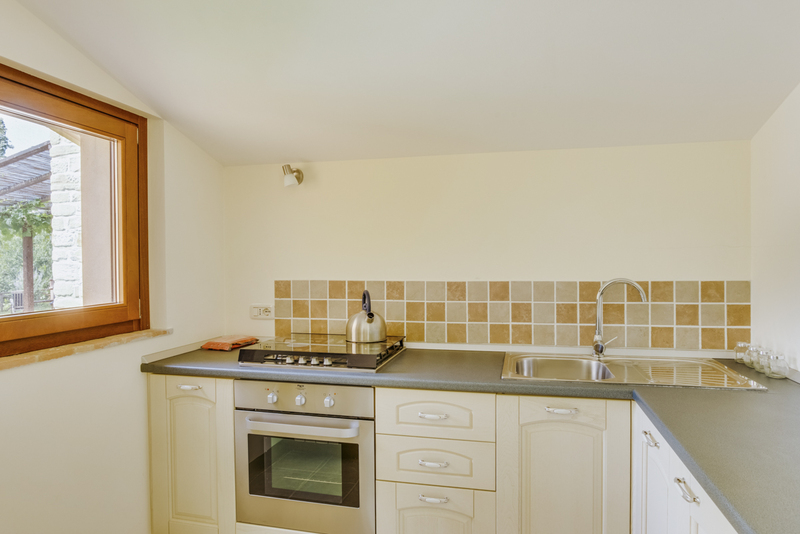 The annexe, with a separate kitchen and living area and private entrance is perfect for those seeking a little more privacy, and is also suitable for those with disabilities. 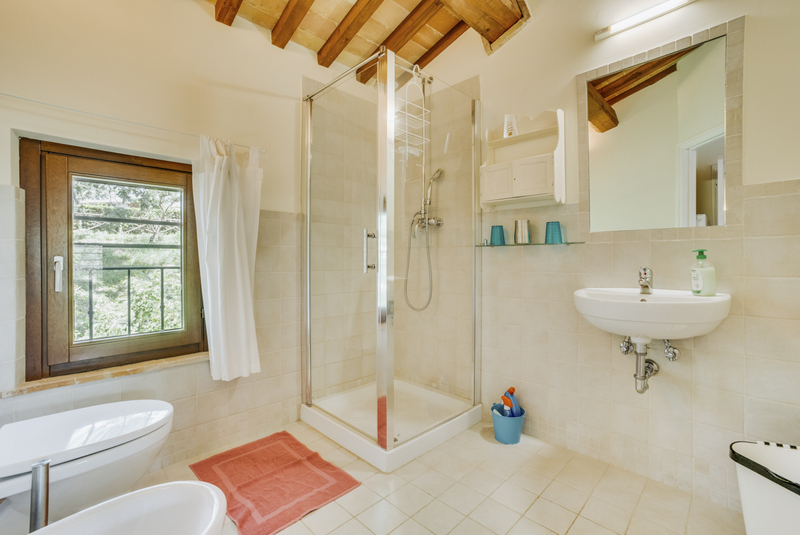 The exterior facilities are undoubtedly a highlight of the wonderful villa. 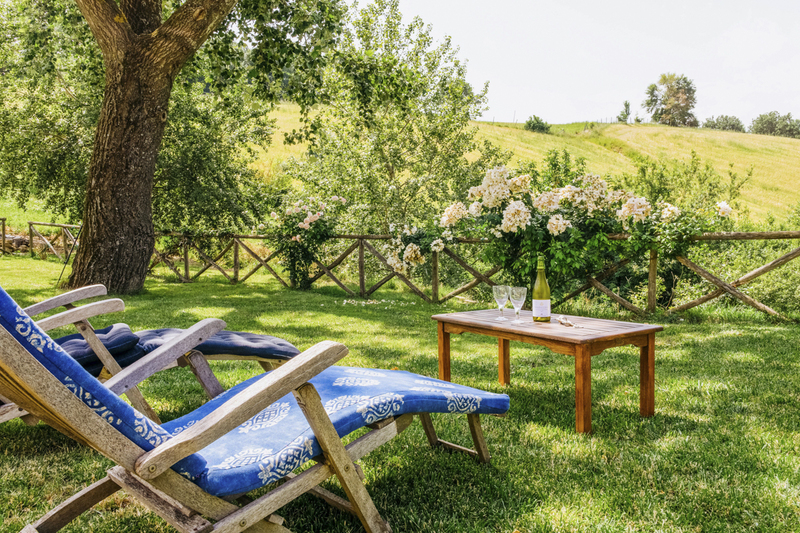 1.5 hectares of private land provide the perfect space for all to explore, from energetic children to those looking for a calming stroll in the warm glow of the evening. 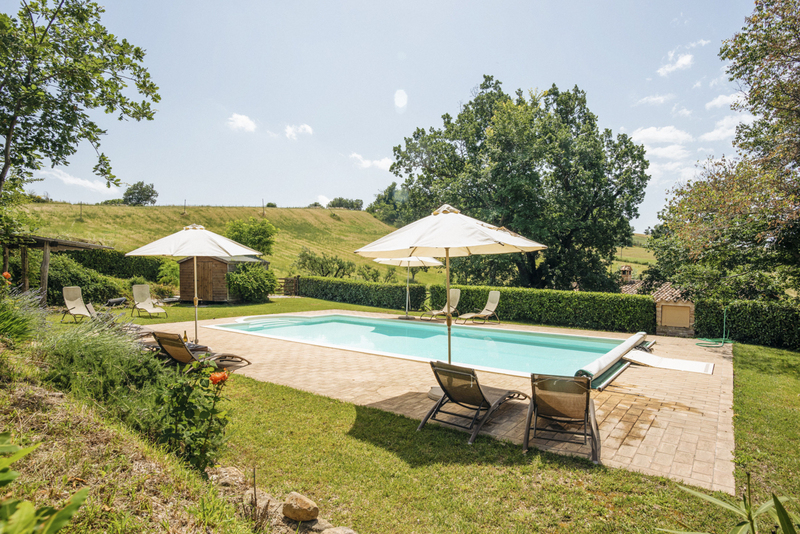 The shimmering private pool is an idyllic spot in which to switch off and enjoy only the tranquil sounds of the beautiful Le Marche countryside. 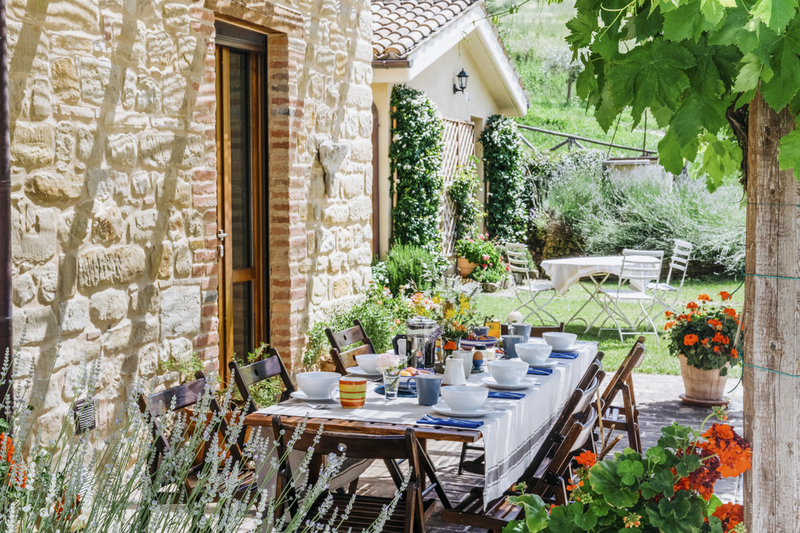 Fire up the barbeque and get the party started! 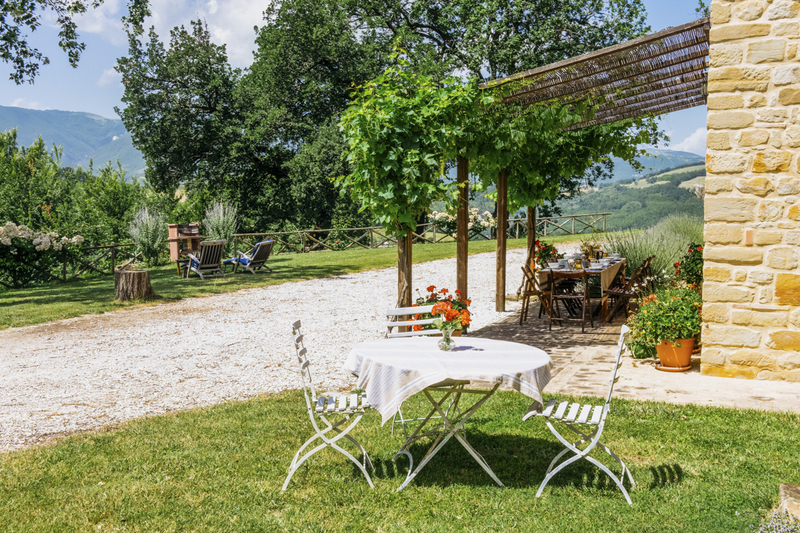 Just 1km from the local village and a stone’s throw from hiking, biking, horse-riding and many more adventure opportunities, you could not be better placed to appreciate the landscape for which Italy is famous! 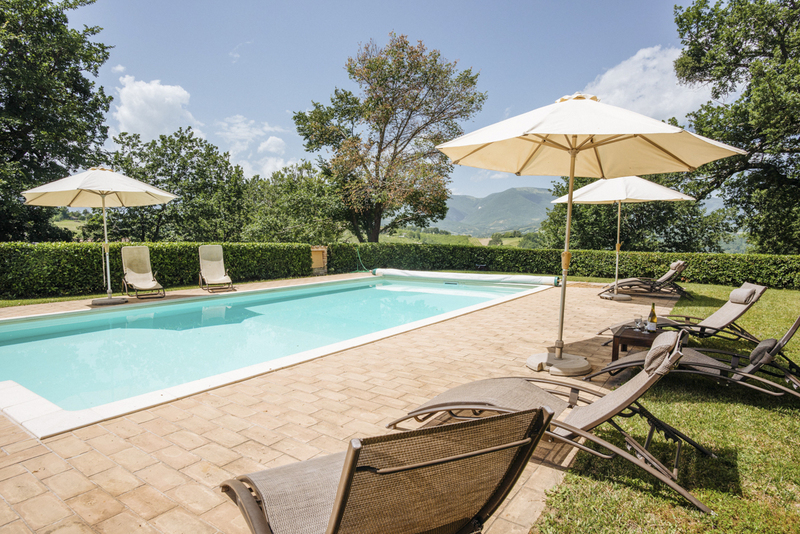 Shops, bars, supermarkets and of course wine-tasting are within a short drive of the property. 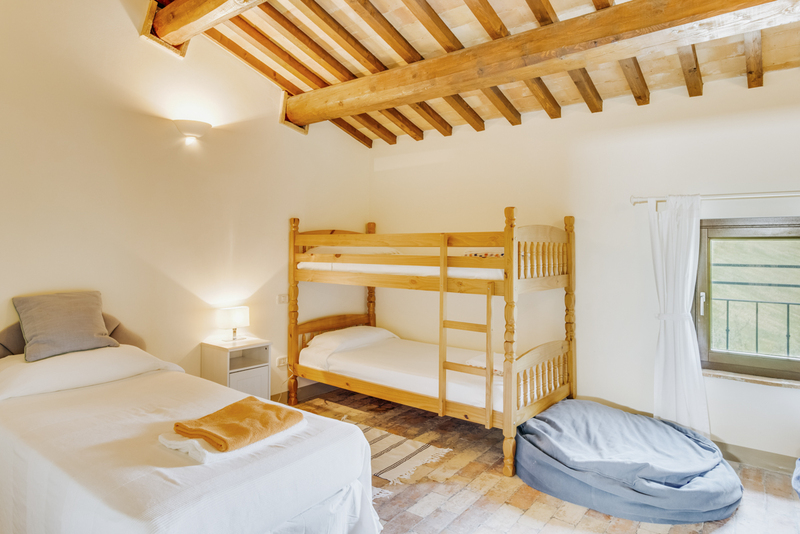 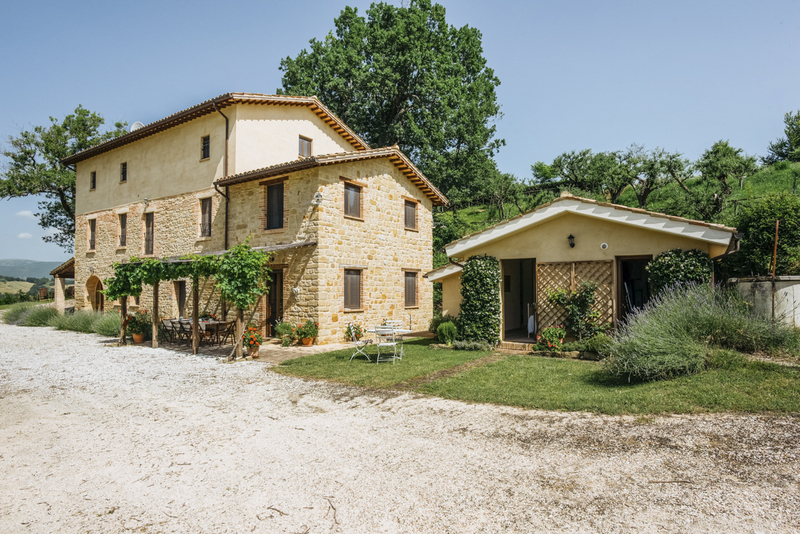 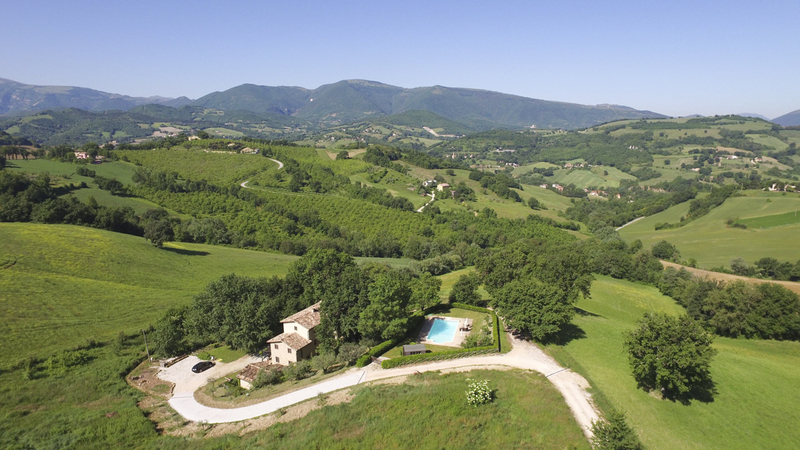 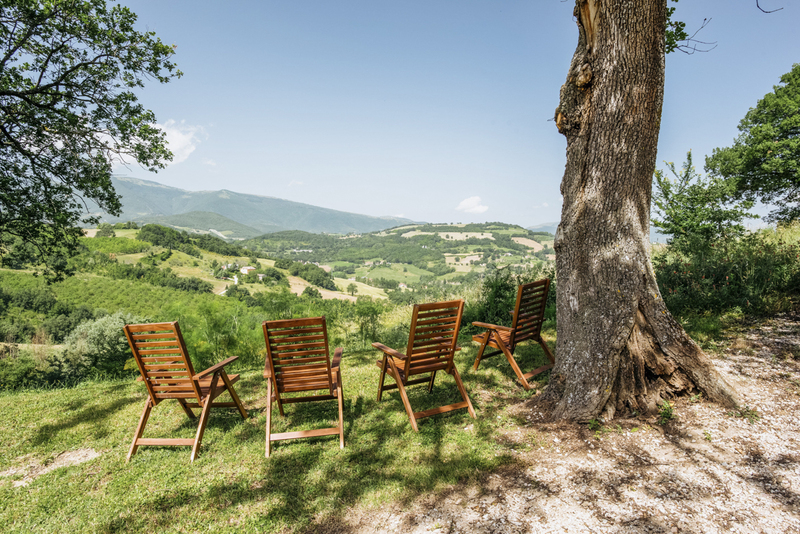 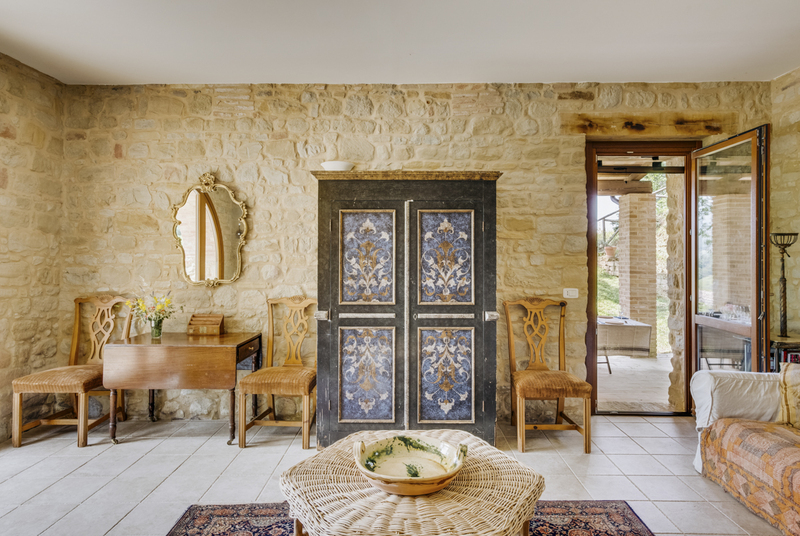 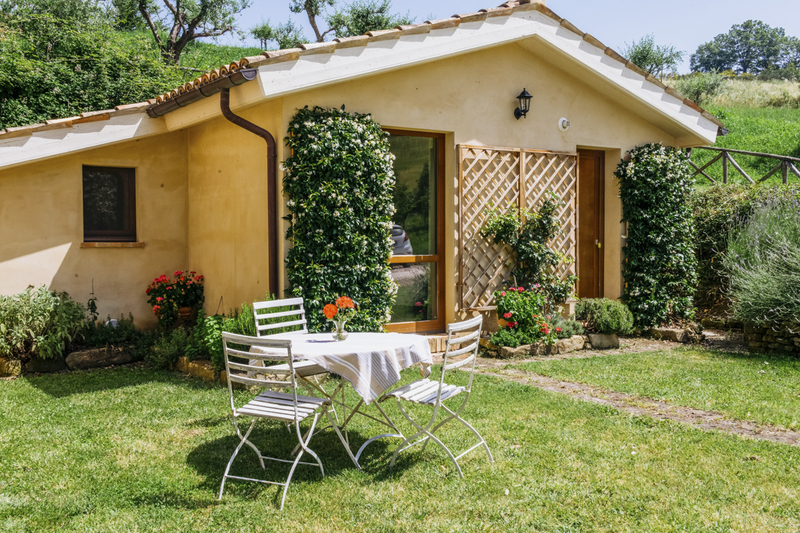 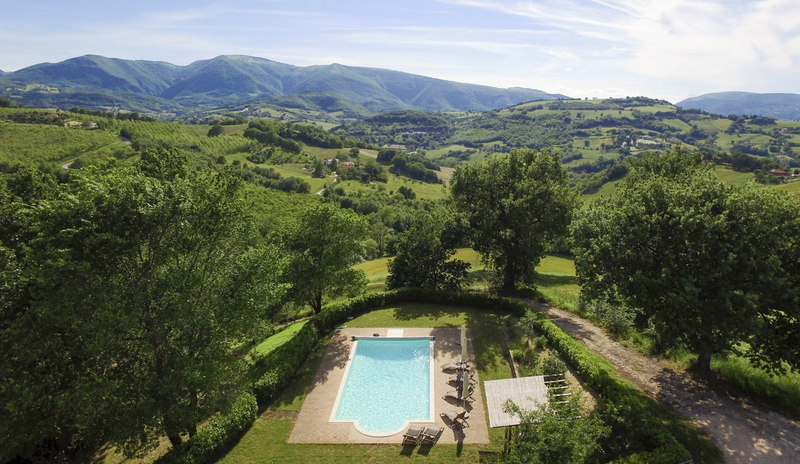 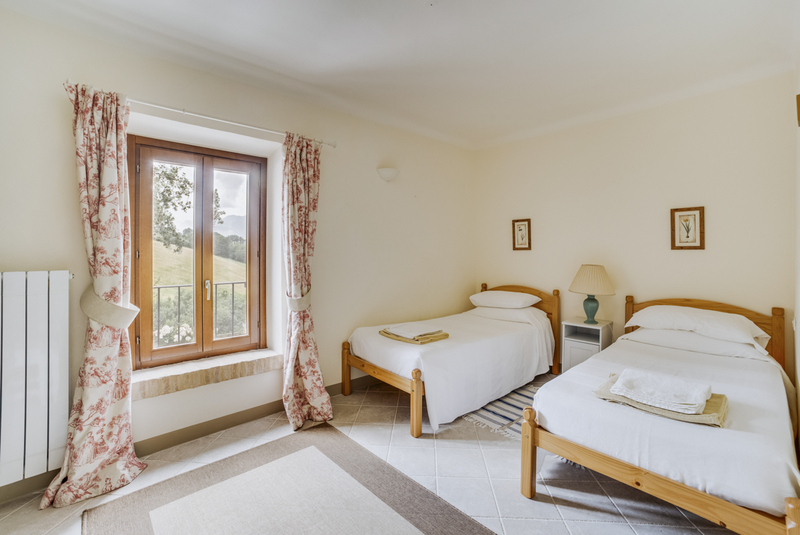 Sitting low in the foothills of the Central Apennines, the ‘Wild Heart of Italy’, Casa Fiastrone is in the perfect location for nature-lovers and active groups. 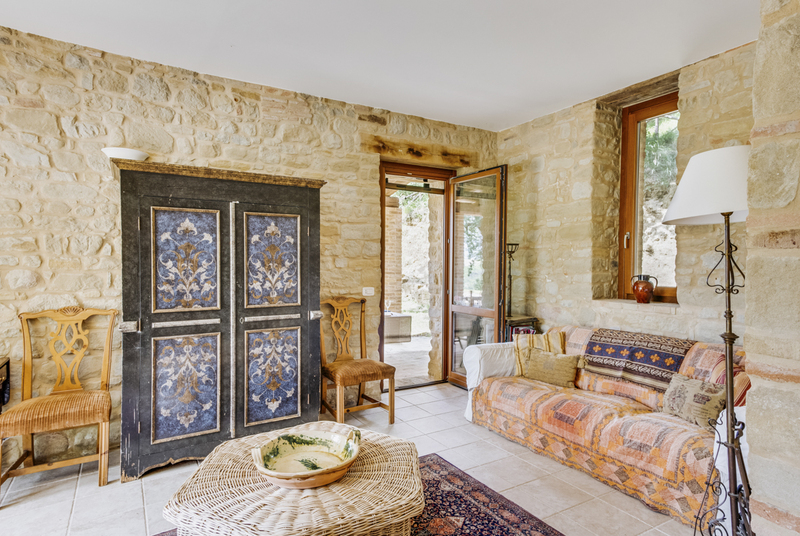 Depart from the front door and make your own adventures through the fragrant, winding valley and along the mountain paths. 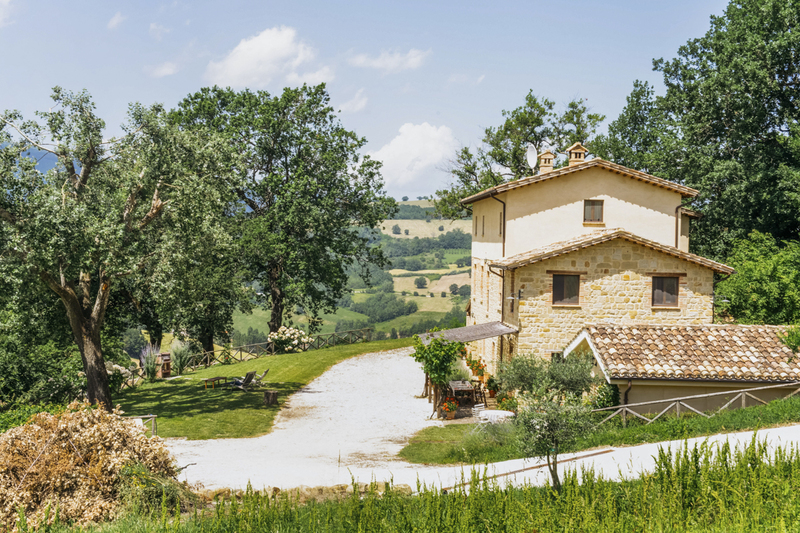 Each turn will bring you to a new experience, perhaps a medieval hamlet or a surprise panorama over the hills, as you delve deeper into the history and beauty of Italy’s most glorious natural landscape.